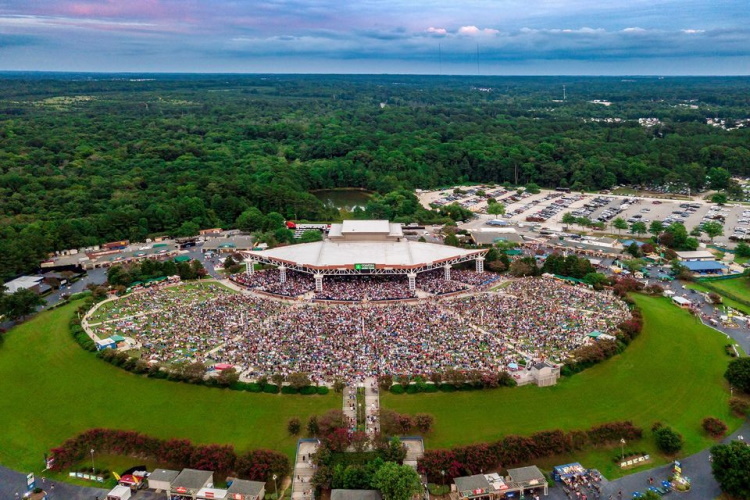 Alltel Pavilion, located southeast of Raleigh, NC, consists of 7,000 reserved seats and a 13,000 capacity lawn. DMB's first show here was also their first H.O.R.D.E. show in 1993 (setlist unknown). 7.26.95 was probably the most memorable show here, David Ryan Harris guested on an epic, 21 minute version of All Along the Watchtower. 6.20.97 was the last time Let You Down was played full band. The 1998 Summer Tour's closing show 8.30.98 featured a top notch version of Recently, complete with the Pretty Girl outro. Hold Me Down on 7.26.95.